Peter Pan’s isn’t one of those characters that is near and dear to our hearts although we did enjoy Hook when it came out (BANGERANG) but it seems to be a real gold mine for film makers to keep going back to. Pan, the upcoming live-action family adventure set for release on 16 October 2015 directed by Joe Wright (Atonement) starring Hugh Jackman, Garrett Hedlund, Rooney Mara, Amanda Seyfried, Cara Delevingne and newcomer Levi Miller seems to be a pre-quel of sorts. 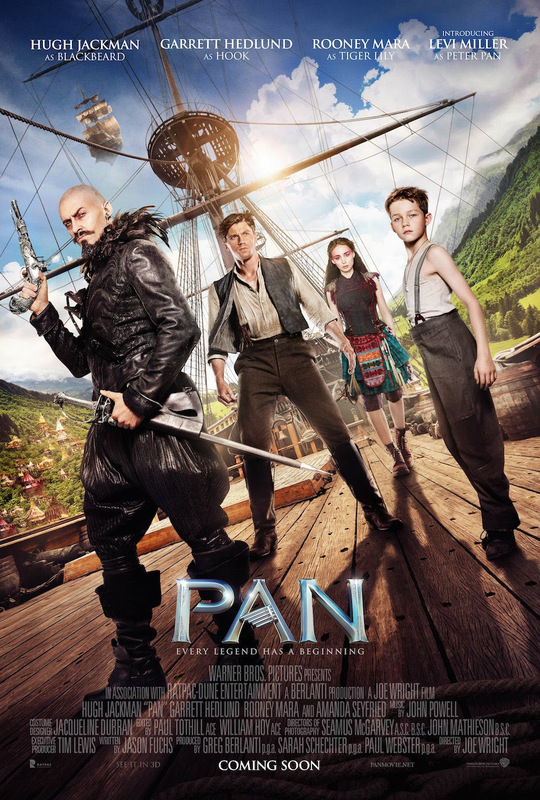 PAN is released in UK cinemas 16 October 2015.